As Creative Mountain Games prepares for the imminent release of Lurch! The Zombie Chess Game, I was amused to discover that KWK Promes had designed a safe house being touted as the first zombie-proof house! 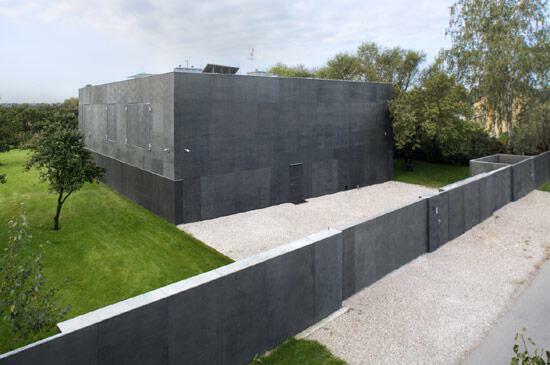 It's a stunning piece of architecture that is part bunker, part castle, part nightmare. Have a look for yourself here. There are a lot more pictures if you follow the link and in some of them the place actually looks more like a home.